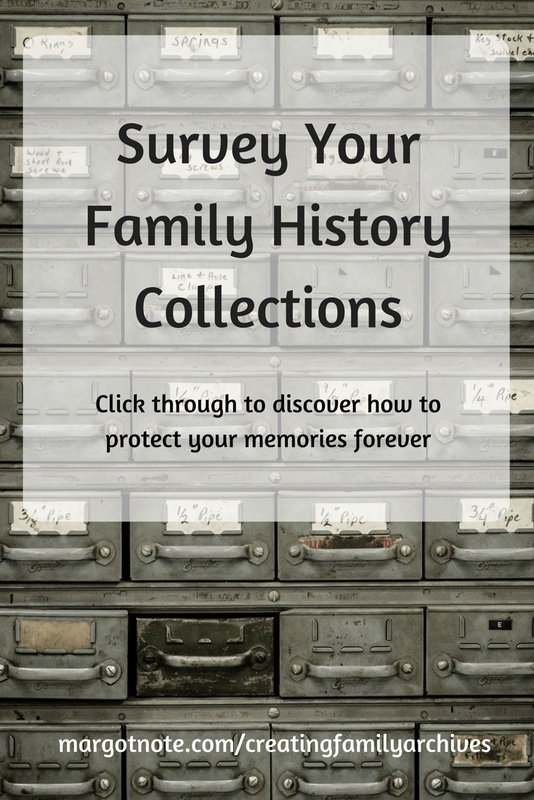 Take stock of your family history materials before you start your archives project. Join me this Monday, August 7th at 2 pm EST via Facebook Live on my Creating Family Archives group page. If you're not already a member, come join the fun! We'll be chatting about to take a general inventory of all of your archival materials, so we can reassess our plans and get to work.